We made hundreds (seriously, hundreds!) of waffles in search of the best Belgian waffle maker. Historians believe that the Belgian waffle was introduced to the United States by the Bel-Gem company at the 1964 World’s Fair in New York. Taller than conventional waffles and with deeper pockets, the European import became wildly popular. Today there are many (many!) Belgian waffle makers on the market. 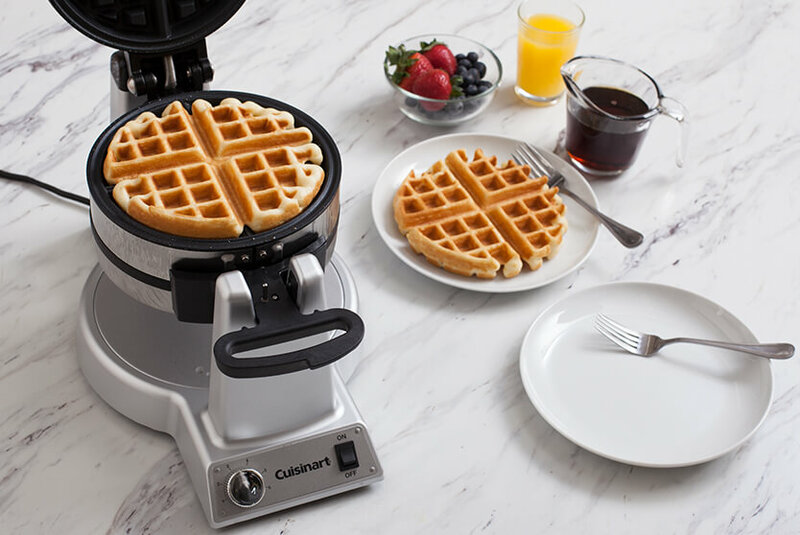 We set out to find the best one by making hundreds of waffles and by going the extra waffle-making mile by consulting a postdoc in MIT’s mechanical engineering program to learn the basic thermodynamic principles at work in waffle irons. After a month of waffles for breakfast and for lunch, we had a solid winner—an iron that made picture-perfect Belgian waffles, two at a time, in under 5 minutes. 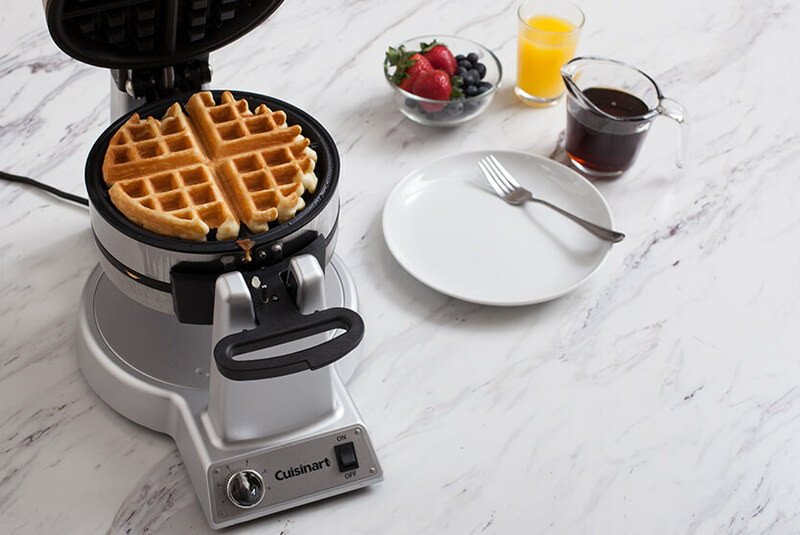 Featuring a six-point dial for customizing waffle doneness, this waffle maker quickly and consistently turned out two perfect waffles at a time, each with a crisp, evenly browned exterior and a custardy interior. With indicator lights on both sides of the waffle maker and a loud audible alert, it was easy to tell when each waffle was done. Weighing nearly 10 pounds and measuring more than 20 inches tall with the lid up, this model was by far the biggest and heaviest of those we tested—but that extra bulk ensured stability and durability. Two minor flaws: the lack of a removable drip tray and the shortness of the handle, on which hot condensation tended to accumulate. 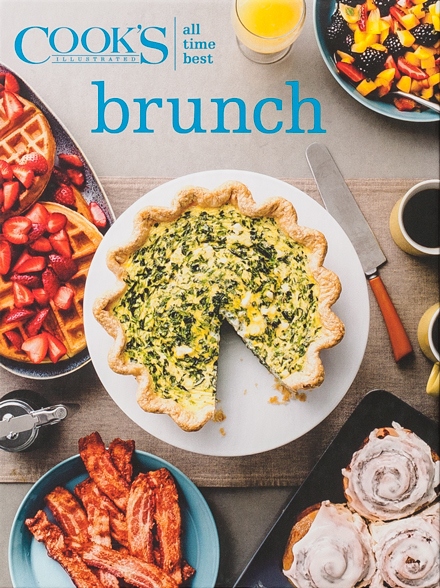 75 foolproof recipes that guarantee a perfectly executed brunch every time. Want to add this book? Select from the drop down above. We were looking for an iron that consistently produced tall, evenly browned waffles with crisp shells and moist crumbs without any trial and error on our part. We focused on the newer, more prevalent flip- and rotary-style models, which either turn on a hinge or spin 180 degrees on a stand, but we also included several conventional stationary models. 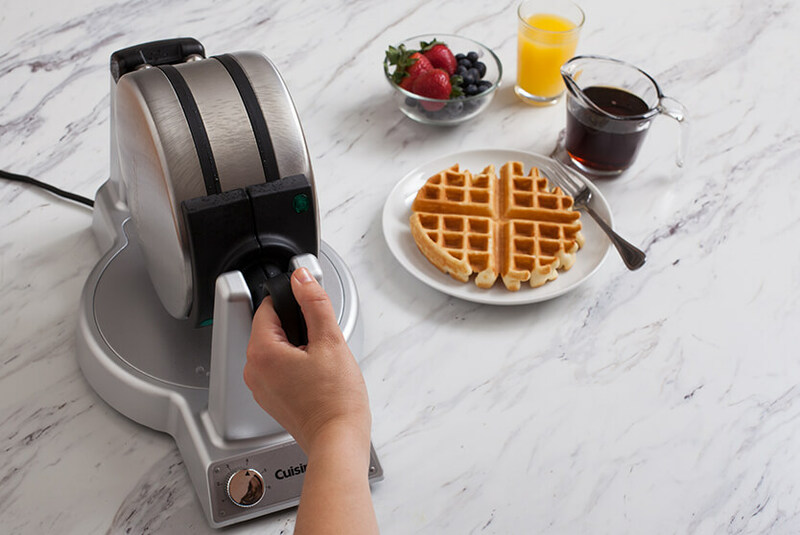 We set a price cap of $100 and tested 13 irons, making batches of both Belgian-style yeasted waffles and our everyday Cook’s Illustrated Best Buttermilk Waffles in each machine. Belgian waffles are, by definition, tall, so we set the bar for waffle height at 1 inch—anything shorter and we docked points. We took five bites from each of the 40 to 50 batches of waffles we made: one from each waffle quadrant and one from the center. Very few of the irons were able to make waffles that were uniformly brown. Many of the irons heated unevenly or ran too hot or too cool, producing waffles that were variously wan, burnt, patchy, gummy, or dry. For insight into performance disparities, we attached temperature probes to the irons’ interiors to analyze their heating cycles. The best irons maintained an average interior temperature between 400 and 435 degrees Fahrenheit at their recommended settings. Several models that functioned within the ideal temperature range still failed to make good waffles in a moderate period of time. Our recommended irons were able to regularly produce perfectly cooked waffles in 3 to 4½ minutes. All our top performers were flip or rotary models. Though their manufacturers made various claims as to why this design was best, we could unearth no reasonable scientific explanation that linked their superior browning and texture to this design.